BOS Best Of Steel is market leader in material containers and steel frames in Germany and at the forefront in many other European countries. 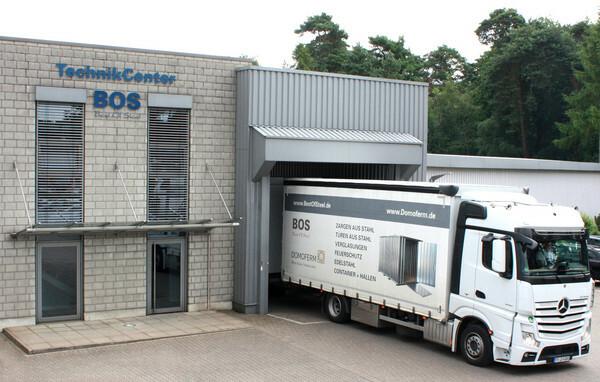 BOS Best Of Steel with more than 450 employees is the market leader in Germany in material containers and steel frames and at the forefront in many other European countries. BOS has been manufacturing steel and stainless steel frames for doors and windows since 1967 and material containers and quick-build warehouses for almost 40 years. Consistent customer orientation, reliability, punctuality and a high level of flexibility relating to our products, technical advice and information are paramount and our employees are trained accordingly. BOS Best Of Steel is the competent specialist for steel frames in the project market: we place a team of qualified planners, technical consultants and sales personnel at our customers' and architects' disposal. Together we find the best standard solution or develop individual solutions. With modern technology we can fulfil unusual demands on design and function.